Well.. 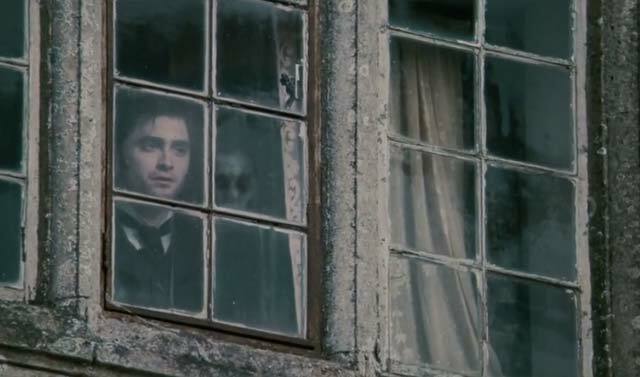 I just saw the movie “The Woman In Black” last night with some friends and I decided I might as well blog about it. I should warn you that this is probably gonna be a a ton of spoilage going on in this blog, so be warned. 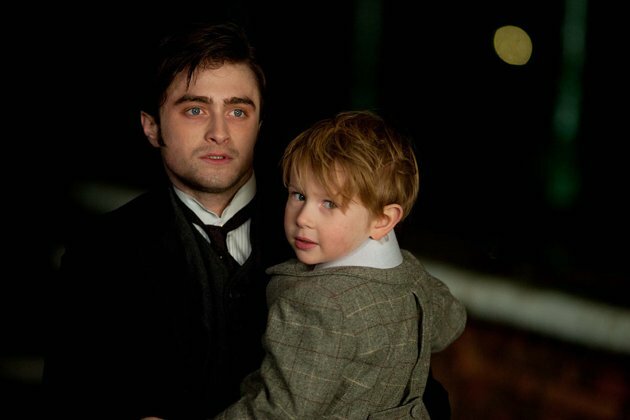 The Woman In Black is the latest film starring Daniel Radcliffe(From Harry Potter). 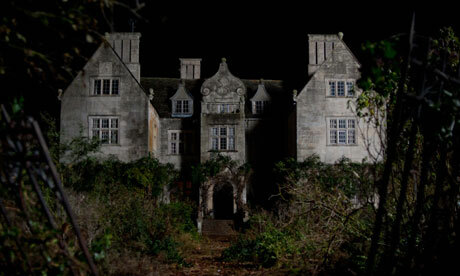 Essentially, the film is a British ghost story about the vengeful spirit of a woman haunting an English town. The film itself is an adaptation of the book of the same name, written by Susan Hill. 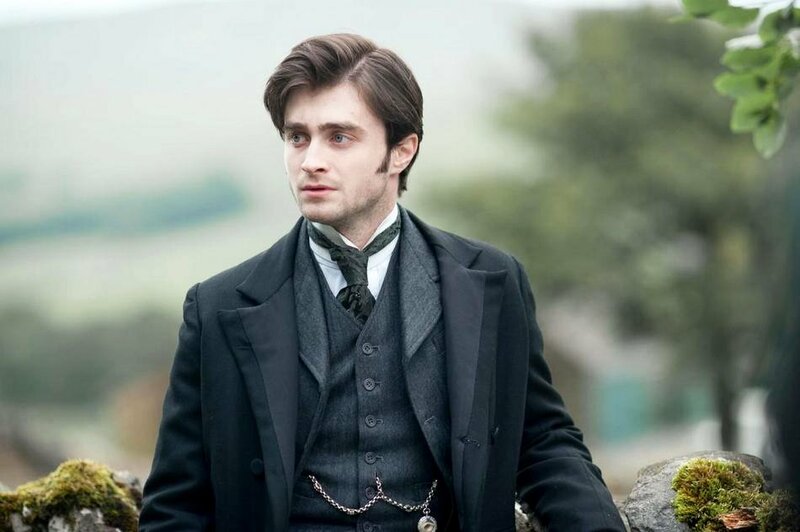 In the film which takes place in England’s Edwardian era, Radcliffe plays the role of one Arthur Kipps; a young, widdowed lawyer who’s down on his luck financially. He lives with his young 4 year old son Joseph, and his son’s nanny (Jessica Raine) (Who I don’t believe is ever named in the movie.) Kipps’ wife Stella (Sophie Stuckey) apparently died in the midst of giving birth to their son. In the beginning of the film, Arthur has occasional visions of her and is facing stress from his employers at the law firm. You get the feeling that he wants to end it all in a manor reminiscent of Sweeny Todd. He is given an assignment (His last and final one if he fails.) to handle the estate of a deceased woman namd Alice Drablow who owned Eel Marsh, where she lived with her husband, son Nathaniel, and sister, Jennet Humfrye (Liz White). This is basically to prove to his employers that he isn’t too crippled with grief to do what’s expected of him. Eventually Kipps arrives in Crythin Gifford, and to a less than warm welcome from the locals as they all warn him to turn and go home. Having been repeatedly told to leave, he of course ignores the protests of his presence. At the march he starts working on the stacks of paperwork left there, but he repeatedly hears footsteps and and eventually sees a woman dressed all in black. Kipps reports the sighting at the local police station. From the time he arrives in the station, things go from mysterious to downright bad when two boys bring in their sister who drank lye and she dies in Arthur’s arms, coughing blood. She is not the first child in town to commit suicide, and the townspeople believe the “Woman in Black” comes for their children as revenge for her child being taken from her in life. This however is not a fact known by Kipps. As he continues to dig deeper and deeper into the mystery of this mysterious figure in black and the connection with the people of the town, his cool demeanor melts (For lack of a better word.) when faced with the mountain of proof that there is indeed something dark, sinister, and truly unholy taking up residence within the walls of Eel Marsh House. At first, being the huge Harry Potter fan I claim to be, I thought it would be difficult to view Radcliffe as anything other than Harry Potter; given the sheer success and lengthy run of the films. I couldn’t have been farther from wrong. Of course there were elements of the film that had a certain… Harry Potter-esque feel, such as Crythin Gifford giving off a somewhat Godrics Hollow/Hogsmeade Village vibe. Then there was the fact that the feel of the film was as dark as, if not darker than the last few Potter films. I couldn’t help but occasionally get the feeling that this was once again Harry Potter facing off against some dark force or another. Throughout the film, I found myself wanting to yell out “Use your wand harry.” Somehow I managed to look past all that and ended up thoroughly enjoying the film. For a horror film, it was certainly less gruesome than your typical horror movie; even your typical ghost story horror. It was a chance for Daniel Radcliffe to show that he’s more than just “the boy who lived” and the guy who defeated the most powerful dark lord of all times.I’d say he more than showed that. The cast of the film did an amazing job. I can’t find anything wrong with their acting, no matter how hard I might try. Ciarán Hinds did a fantastic job as Sam Daily. What else could be expected from the man who portrayed Aberforth Dumbledore in Harry Potter And The Deathly Hallows Parts 1 & 2.?. Janet McTeer did a splendid job in the role of Mrs. Daily. Seeing her as her son is spoken about in conversation made the film for me as much as the acting in the film in general did. Liz White, although not the biggest name in the film, had the key role as The Woman In Black herself. Her portrayal of The Woman was different than what I’d expected, due to most female horror movie antagonists being more…gruesome; like the female character in “The Grudge” or in “Dead Silence”. That being said, She did a fantastic job. The last thing I’d want to walk into in the middle of the night would be The Woman In Black. The other cast members did an equally fantastic job in their roles. If you haven’t seen the movie yet, I’d advise going to see it. That clown thing is freaky..
You’re telling me.?. 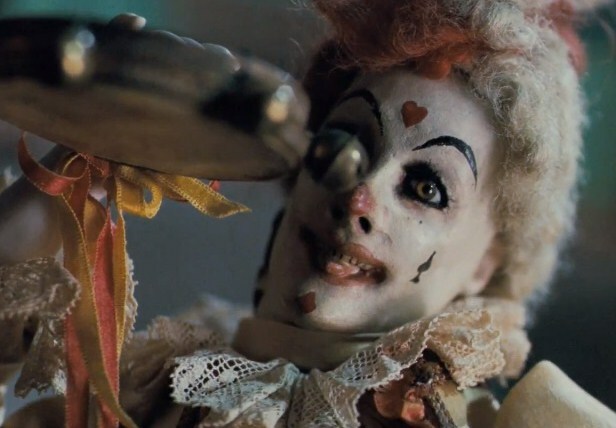 I have a thing about clowns.